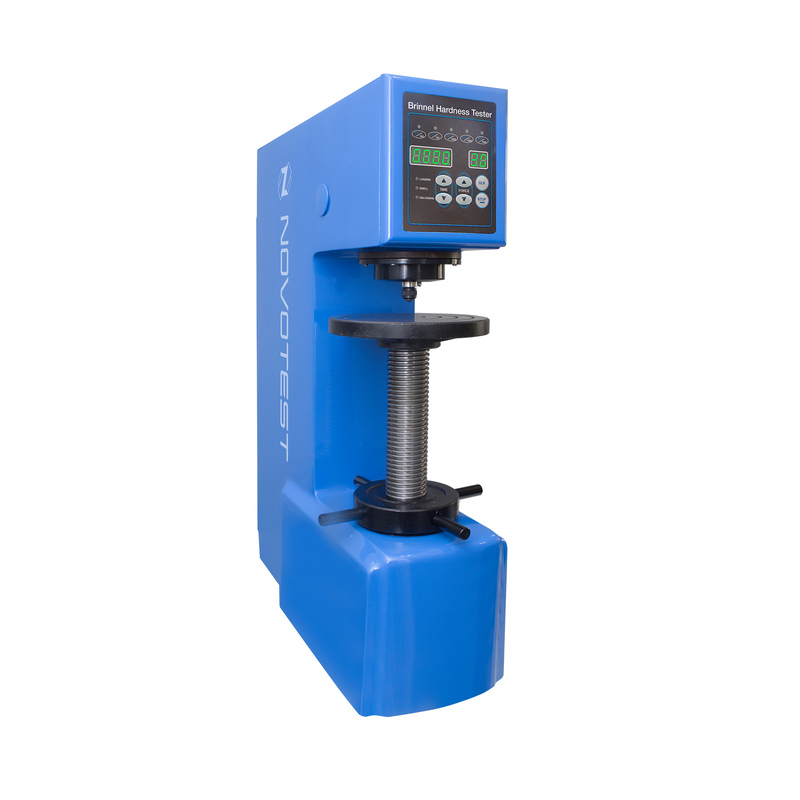 Digital Brinell Hardness Tester NOVOTEST TB-B-C implements direct resistance to indentation under Brinell method of hardness testing in accordance with ISO 6506-2 and ASTM E10. hardness of products from soft metals (pure aluminium, lead, tin) and others. Digital Brinell Hardness Tester NOVOTEST TB-B-C has 10 steps testing force settings, allows user to measure hardness values with each of 10 Brinell hardness scales. 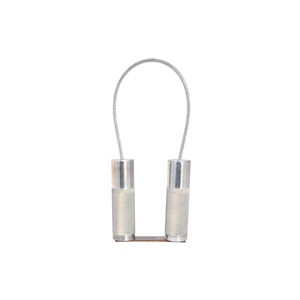 The device uses the round type of indenter along with the control system. 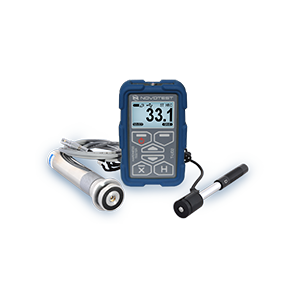 It is highly accurate, gives repeatable results, reliable and easy to operate. 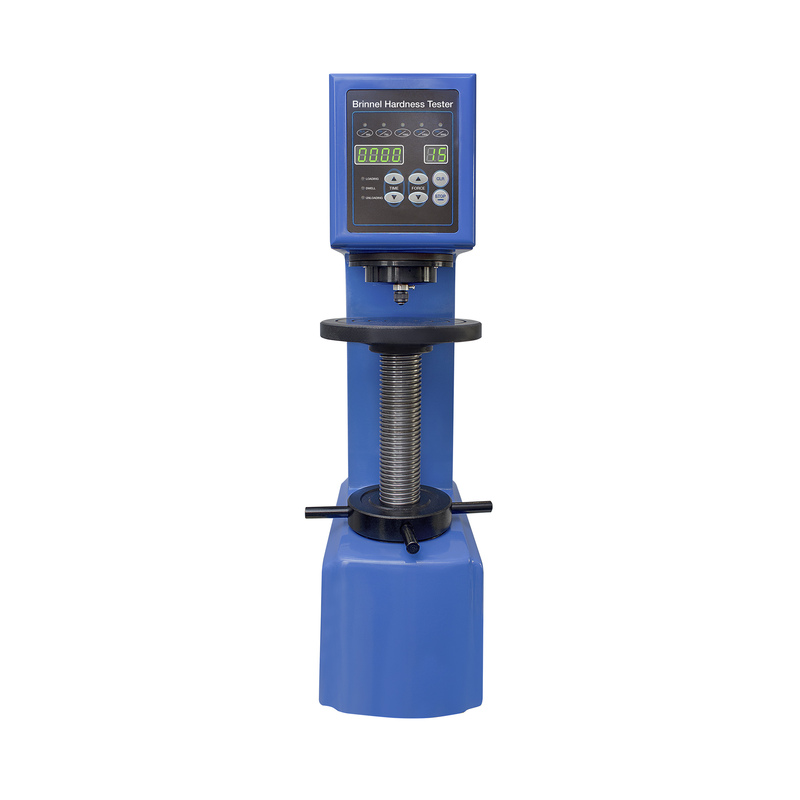 Digital Brinell Hardness Tester NOVOTEST TB-B-C has fully automatically test cycle: loading, dwell and unloading. As a result, the operator errors don’t influence on measuring results. 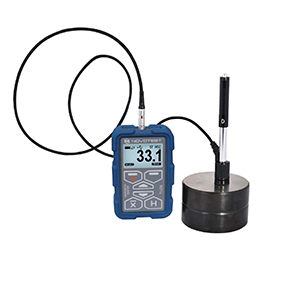 Motorized indenter and electronic control system allow making measurements with high accuracy. Absence of mechanical weighs reduce problems of friction and vibration sensitivity of the machine.